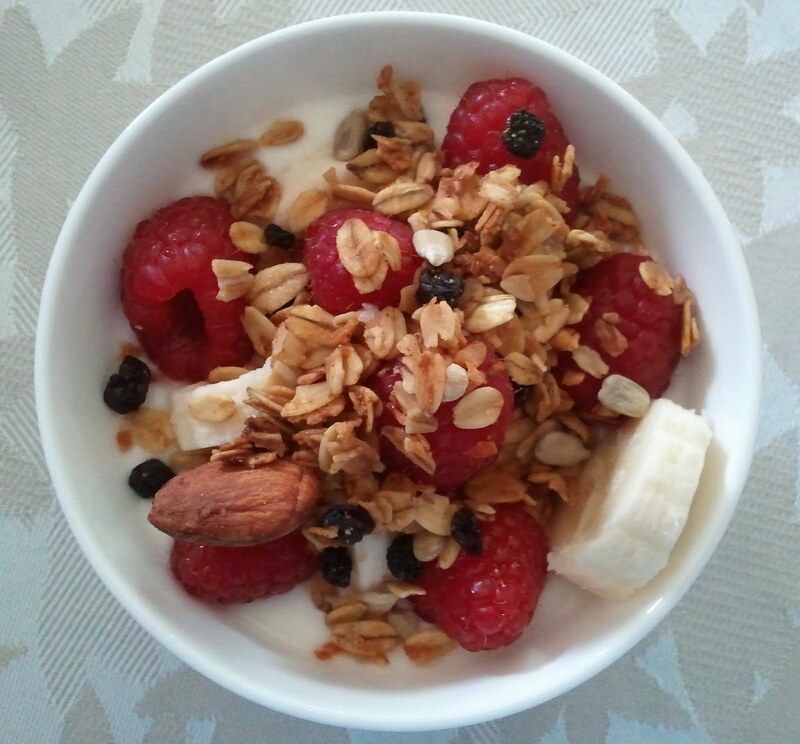 More often than not, our mornings start with a simple breakfast. Dairy, fruit, grains and if we can a protein. I like a soft boiled egg. Sometimes it is just a breakfast parfait and a Flat White. I have a little white dish that, if full to the meniscus, wouldn’t hold a cup of liquid. It is my favourite because of its simplicity. Because it is wee and because it is cute. I start with a few spoons of plain yogurt. Right now we are enjoying Organic Meadow. It comes from Guelph, Ontario and can be found at Farm Boy and major grocery chains. It is a co-operative that has been operating for over 20 years. “Every time you purchase an Organic Meadow product, you are choosing to directly support small, local family farms.” Of the over 100 farmers participating in their co-op, two of them have crossed my life path. Deb Vice of Birchwind Farm was two years ahead of me in school while I was growing up. In a small town, a two year age spread was insignificant. Everyone knows everyone. Deb has a beautiful farm on the Oak Ridge Moraine near Solina, Ontario where she and Ron have over 40 Holsteins. I first met Maida Edwards when she was 4 years old and knew her growing up on her family’s farm near our home. It is hard to believe she is now a mom and working her own farm, Edwards Holsteins, near Westport. Organic Meadow has done a wonderful job on their website profiling their participating farmers. Whether there is a personal connection or not, getting to know the people that make our food does affect our buying decisions. I then load it up with fresh fruit. My favourite is bananas and raspberries. Then I crown it with a sprinkle of granola. Right now we are enjoying one of our favourites – Siren Bakery. 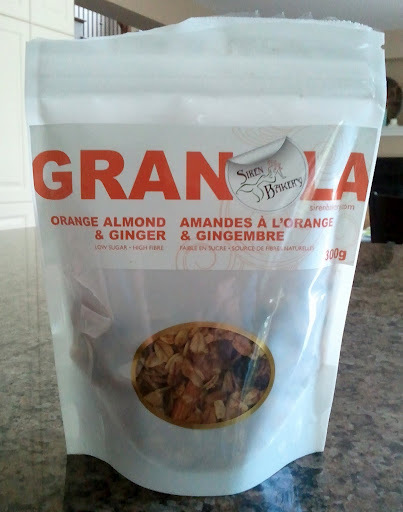 The flavour – Orange, Almond & Ginger. Siren Bakery is made locally here in Ottawa by Loreli Lees. She prides herself in making her product high fibre and low in sugar. Because of my wee bowl, the parfait stays single-layered. It is the perfect portion. Almost too pretty to eat. As for my coffee, well, I HAVE to have it. The day just doesn’t move forward much without it. I like it strong. I usually take my dose in the form of a Flat White. Or at least my attempt at a Flat White. 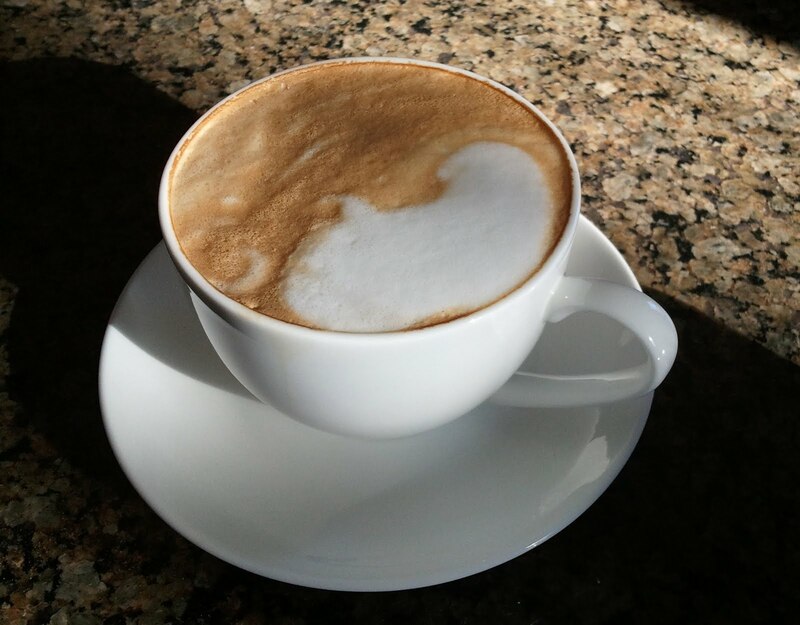 A Flat White is essentially 1 part espresso shot and 2 parts microfoamed milk. Confession. Usually a richer milk. Maybe even a milk with a bit of cream. End of confession. I start with my favourite bean. 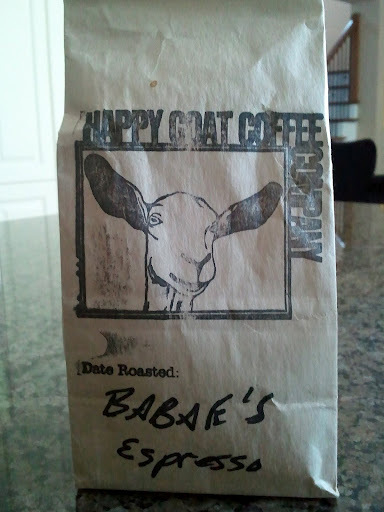 Babae’s Espresso bean from Happy Goat Coffee Company. Like butter tarts, I will be searching the world over for the best espresso bean until the day I die, I am sure. Always searching. I suppose the compliment in all of this is that I keep returning to the Babae’s Espresso bean. For two reasons. I like its strength. It is in my ballpark. 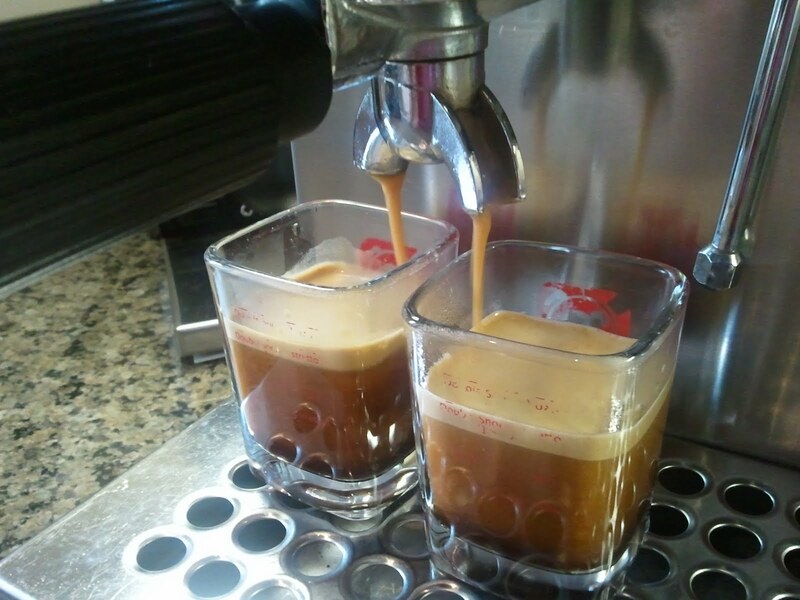 But the flirty part of Babae’s Espresso beans is that it has a consistently thick crema. I can seem to get good crema even when I mess up my shot. My favourite Flat White cup holds a 2 oz espresso shot and then fills with closer to 6 oz of microfoamed milk. So more like a 1:3 ratio. There are days when I think I should throttle back on the white stuff and try to be more authentic. Perhaps I should just buy another favourite cup! And there starts my day. Thanks to some locals.